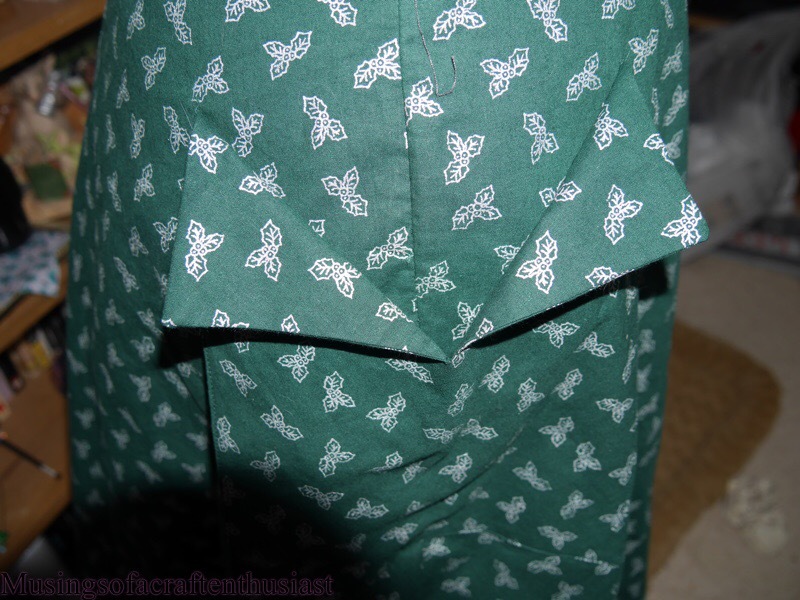 This is a great pattern and is the first Butterick pattern that the finished garment actually looks like the picture on the front of the packet. 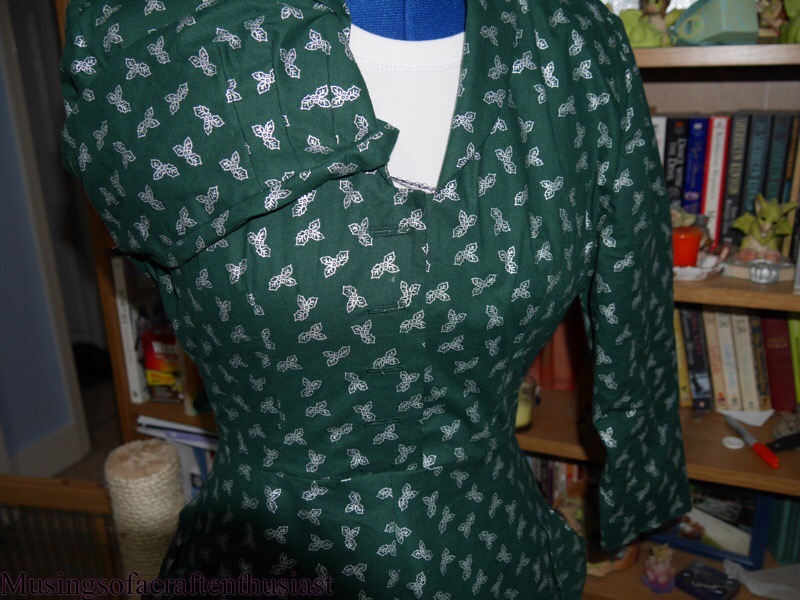 The only problem I have with this dress is, it is either too late for Christmas 2015 which is what I originally planned it for hence the dark green with little silver holly leaves, or miles too early for Christmas 2016. I actually removed an inch from the length of the bodice because of the proportioned dress and then I did a SBA on it removing half an inch across the pattern piece. 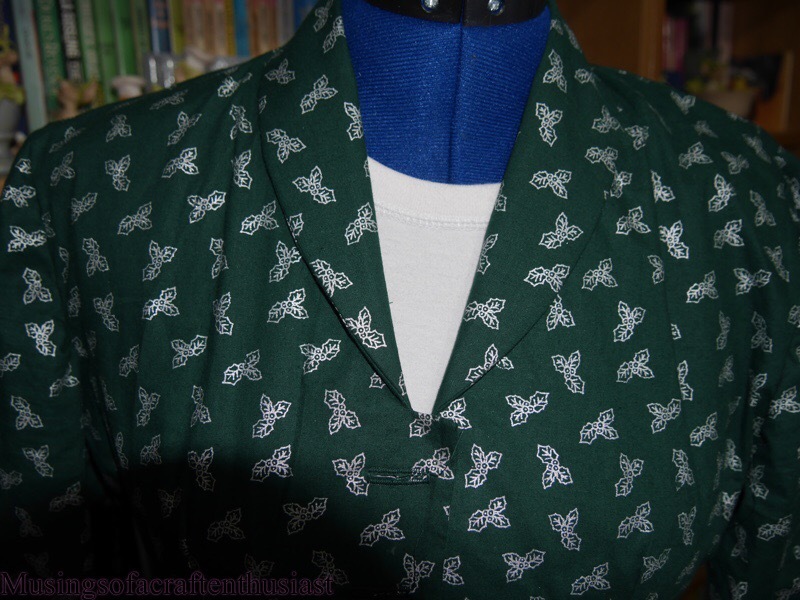 The details that I love on this pattern are the patch pockets which to begin with I wasn’t really sure about and the beautiful shawl collar which went together with no problem at all. 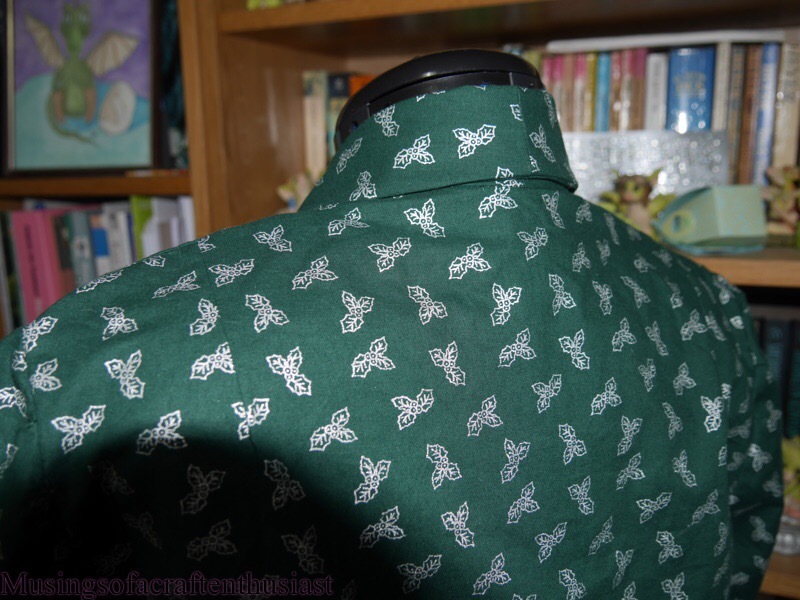 The collar is one of those ‘part of the bodice front’ collars where you put in a couple of darts in front then it wraps round to the back, and tada you have a collar, once you have fiddled about trying to get it to play nice with the back piece and wonder why you have ended up with a fold in the wrong place. I had no problem with the back and it just went in, I’ll be intrested to see if it goes together as well the next time. 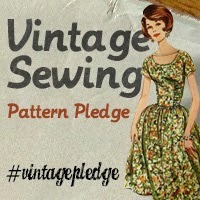 Posted on 02/02/2016, in vintage dress making. Bookmark the permalink. 1 Comment. Lovely! Don’t wait for Christmas 2016. Holly is an evergreen so you can wear it ALL YEAR! !